By Myriam Douo is a transparency campaigner for Friends of the Earth Europe and the Alliance for Lobbying Transparency and Ethics Regulation (ALTER-EU). The European Commission has been rocked by a series of scandals since the summer, including Barrosogate, all pointing towards the need for reform of the code of conduct for Commissioners. The European Parliament has been actively holding the Commission accountable for its flawed ethics rules through open letters, complaints, and passionate speeches. But when it comes to their own ethics rules, MEPs should perhaps take a hard look in the mirror. A reformed Code of Conduct for MEPs, under discussion for the last few months, will finally go to a vote this week, and it lacks bite. The European Parliament has historically struggled with ethics rules and cases of conflict of interests of MEPs: problematic second jobs are regularly reported. The latest example is Angelika Niebler and her second job of “counsel” for a law firm unregistered in the EU lobby register but suspected of lobbying. In 2015, Ms Niebler submitted 25 amendments to the report on copyright issues by German Pirate Party MEP Julia Reda, while advising her law firm on issues related to the media, entertainment and technology, as well as privacy, cybersecurity and consumer protection. 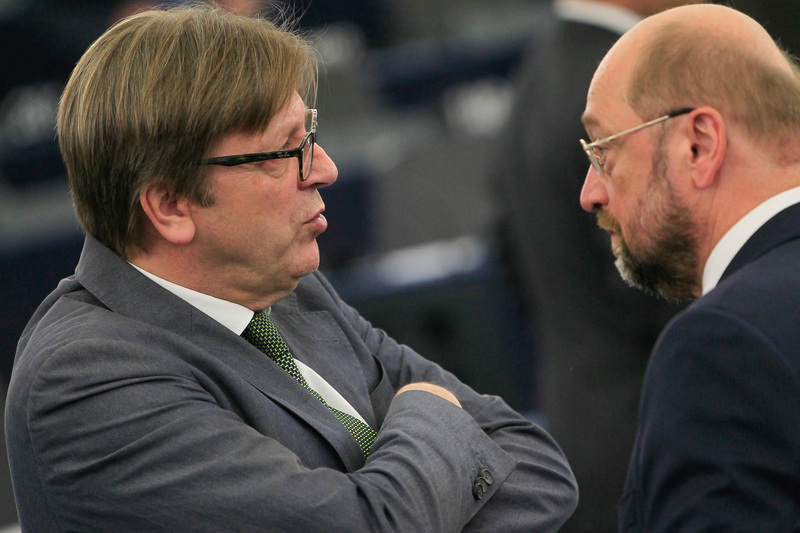 Despite the evidence, Parliament President Martin Schulz decided not to properly investigate. Indeed, during his four years as president, Schulz has not implemented any sanctions against MEP jobs with companies involved in EU lobbying, despite the mounting complaints and opinions delivered by the advisory committee over the years. Guy Verhofstadt, who has the third largest income amongst MEPs from second jobs, has been nominated as the Parliament president candidate for the ALDE group. Among other positions, he sits on the board of the multi-billion euro investment and holdings company Sofina. With that in mind, what hope is there for tackling conflict of interest cases in the European Parliament in future if he becomes president? German Green MEP Sven Giegold’s own-initiative report on transparency, accountability and integrity in the EU institutions laid some of the ground work. The report proposed an ethics reform, later (partially) integrated in the rules of procedure reform led by British Labour MEP Richard Corbett. Giegold’s report had ambitious elements, including a limitation on second jobs and rules on revolving doors and suggested overall improvements to the Parliament’s ethics rules. However, after lengthy negotiations, in which the centre-right EPP group tried to delete many of the ambitious proposals, in the end the group indefinitely postponed the vote on the Giegold report – with the help of Liberals and the centre-left. Without the Giegold report to support it, Corbett had to start almost from scratch in terms of negotiating reform of the code of conduct of MEPs. Unsurprisingly, the rapporteur simply took the final outcome of the negotiations from the Giegold report and used it to build his reform proposal on the code of conduct. The result: a too-narrow article on second jobs, merely introducing a ban on “professional lobbying” and “activities directly linked to the Union decision-making process”. This does not qualify as an ambitious reform of the rules of ethics of the Parliament, and leaves the second job problem open to interpretation by the president. It’s time for a new Parliament president who puts concerns about ethics and standards centre-stage. If the European Parliament and Commission want to increase public trust, they first of all have to address their own performance and take strong measures to end the close relationships and conflicts of interests between decision-makers and business groups. This article just confirms that EU Parlament must be canceled because it is uselees , expensive and corrupted institution. No it doesn’t, the same parliament can be seen in every European parliament, or do you simply want to abolish democracy altogether. That said, it certainly shows that the system needs to be reformed, but the current balance of power doesn’t allow it. The groups who have ruined undermined the trust in the Union with their austerity policies are the same ones who have prevented proper regulation. The parliament needs to become a real Parliament with power and accountability. What really needs to be “cancelled is the European council and the council of ministers, together with the commission, it makes the largest political parties way too influential. The amount of commissioners is also absurd. There is way too much expensive and unproductive confederalism and not enough federalism in the EU. EU is not federal state and never will be but confederation of independent soverian states.. So there is no need for any EU parlament. There is EU Concil who makes decsion with consensus of all 28 (27) memebr states and EU Commission , an administrative body, who must carry out decions made by EU Concil. What you are writting is an Utopia, There is no single EU memebr state who will agree to be overvoted by majority. And in histroy we already saw that mulitnational federal states such as USSR and Ypugoslavia did not work. Ha yes how many MEP’s are in reality self serving federalists? It can’t be too much of a slump if their unemployment level is at a 35 year low. I think there are bigger fish to fry.